We are currently accepting applications for 2019 (June kick-off). Keep scrolling for details. 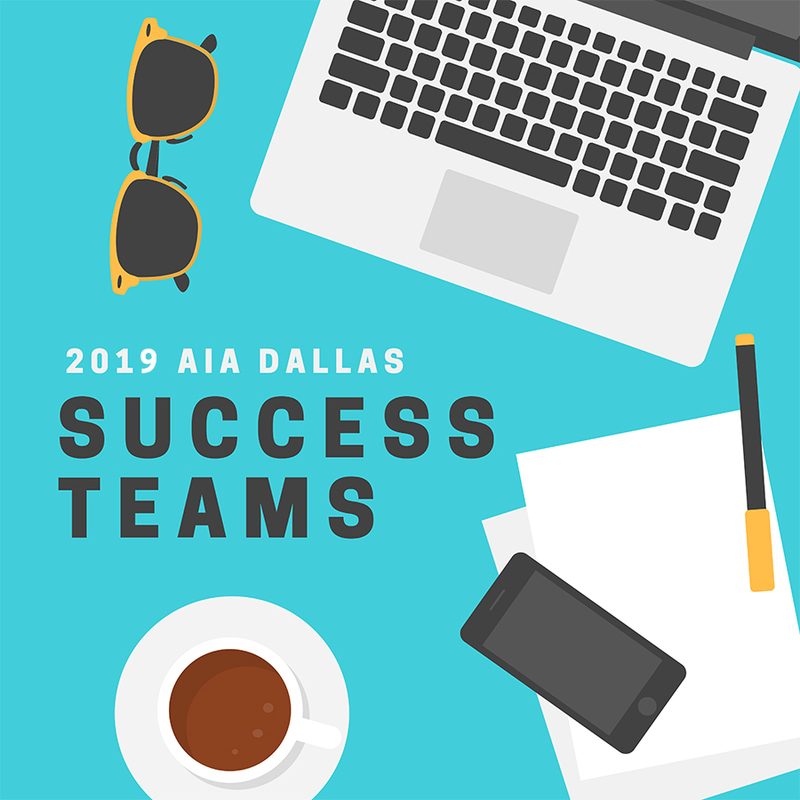 AIA Dallas will provide some of the study material, and a robust study schedule. A mentor who has successfully taken and passed these exams will be guiding the team along the way. What is the Success Team program? Associates with an active NCARB record who are eligible to test are welcome. Participants are required to show proof of ARE Eligibility from NCARB. AIA Dallas and Northeast Texas members will have priority to enroll. Why should you Participate in the Success Teams Program? Many ARE candidates have difficulties passing the exams. This program offers an opportunity for candidates to find support, share successes (and failures), and get questions answered. The Success Team program is structured to encourage ARE candidates so they can stay on track & not delay testing/studying. The program provides access to study materials and mentors. The current teams are seeing better pass rate than the national average! The program will cost $250 for AIA Dallas and Northeast Texas Members, and $350 for Non-Members. Non-refundable. Participants who managed to take all six exams as planned, and passed at least five by the end of the program will receive a full refund to celebrate their SUCCESS! To apply, please fill out this form. Deadline is May 24 to enroll in this June session. Spots are limited, you are NOT confirmed until the application has been reviewed and evaluated. Once accepted, a confirmation will be sent to you with instructions to secure your spot.